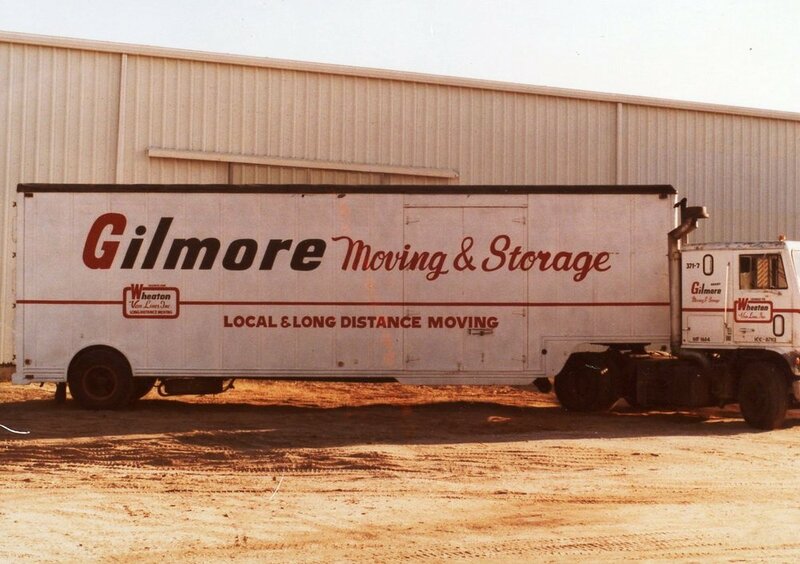 Gilmore Services was founded by James (Jim) Gilmore in 1955 the old-fashioned way - with one truck and one employee. Although the company has grown considerably, Gilmore Services is still a family-run business, managed today by Jim’s son Ronnie Gilmore, his wife Debbie and their sons Jacob and Lucas. The Gilmore family and their 50 employee team continue to carry on the tradition of exemplary customer service which the business was founded on over sixty years ago. Gilmore Services was built on a strong ethical foundation with an entrepreneurial spirit. Our goal is to help our clients, fellow businesses, find solutions to their security, storage, documentation and moving challenges to enable them to focus on their day-to-day operations. Our goal is to eliminate the worry that comes with the storage, destruction and moving of confidential and important files and records. As the company looks forward to the future, and another half century of customer focused service, we continually seek to explore other opportunities and alliances to serve our valued customers, so many of which have become good friends. At Gilmore Services, our business is our family, and we would like to have you join us as a part of our extended family. In our family, we place emphasis on the important things in life – and that includes serving you. 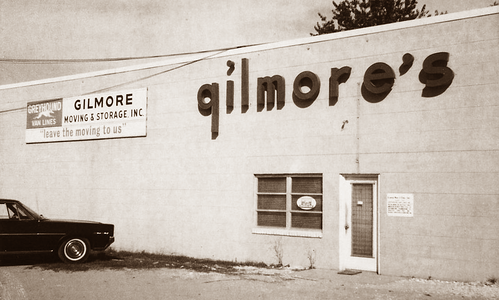 For 60 years, Gilmore Services has been entrusted by thousands of organizations who choose to use our storage facilities as well as our shredding and imaging services. We know we have enjoyed this good fortune only because of our proud history and philosophy of an uncompromising commitment to the highest possible levels of integrity and customer service. That promise of trust, care, and concern for each client's needs continues today as a cornerstone of our company's culture. Today, as when my father started our business in 1955, we continue to humbly be driven by the philosophy that "the customer IS always right"; a phrase, I feel, not heard often enough in business today. From the beginning, Gilmore Services never intended to be all things to all customers; a common trend in business today. We have instead chosen to focus on a small number of complimentary business services. This deliberate decision has allowed our team of professionals to concentrate all of our efforts, facilities, resources, and personnel on delivering their very best efforts to provide those few services we specialize in. Realizing that we can only be as good as our people, it is the commitment of Gilmore Services to provide each associate with the latest training, most technologically advanced equipment, and an assurance of on-going support to aide them in accomplishing their responsibility of satisfying you, our customer. When we fulfill this obligation to our associates it provides each individual an opportunity to excel in their chosen profession while providing our customers the highest level of service quality they deserve and have come to expect from Gilmore Services, insuring everyone wins. To maintain and insure this long standing tradition of unmatched loyalty to meeting our customers concerns, every Gilmore Services' associate has as their primary responsibility, a goal of providing each of our customers a level of service that is beyond their expectations in every way possible. Specific areas routinely reviewed with satisfaction surveys include: accuracy, appearance, courtesy, dependability, security awareness, professionalism, and timeliness. To provide an added level of confidence and protection, every Gilmore Services' associate is security screened by an independent organization prior to their initial hire and randomly thereafter throughout their tenure with our organization. Whether you are seeking document shredding for one location or 1,000; or you have one document to store or 1 million, you will see no difference in our commitment to protecting your materials and our willingness to work for your business. We hope to have the opportunity to serve your needs to demonstrate how we have earned our reputation for unparalleled service quality. In doing so, you will experience first hand why Gilmore Services is considered the standard by which all other similar organizations are measured. For every associate at Gilmore Services, I would like to personally thank you for the opportunity to earn your valued business and show you the true worth of our service. We genuinely look forward to hearing from you.